Happy Monday and Happy New Year, dear readers! It's a Harry Potter marathon kind of day around here. Now that's a great way to start out a new year! Since we got rid of cable a couple years ago, we've been missing out on the normal marathon sessions that run on special holiday weekends. We figured today was the perfect day to break out the DVDs and get to watching them again. 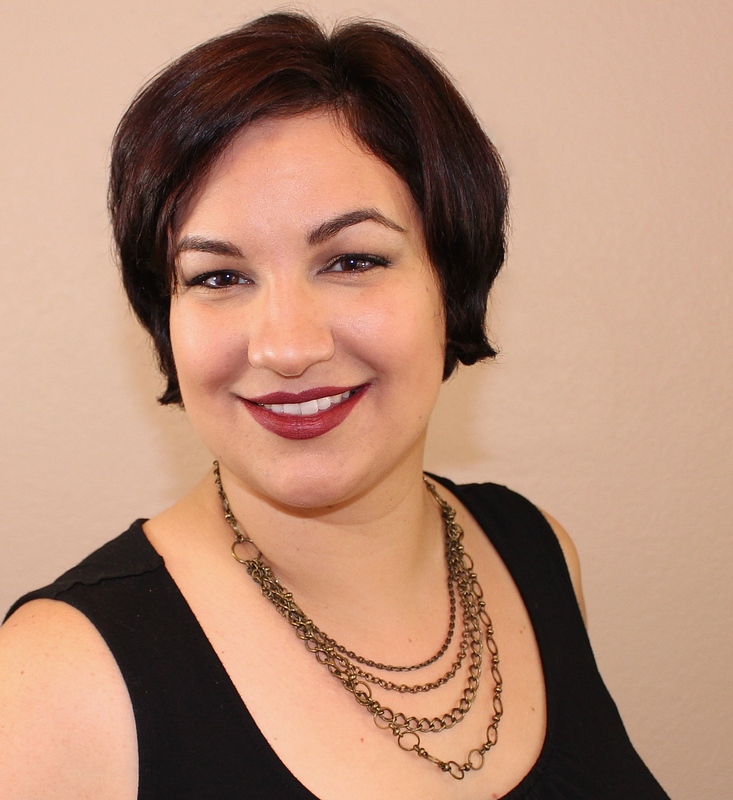 I digress, so let's jump in on today's quick blog post. 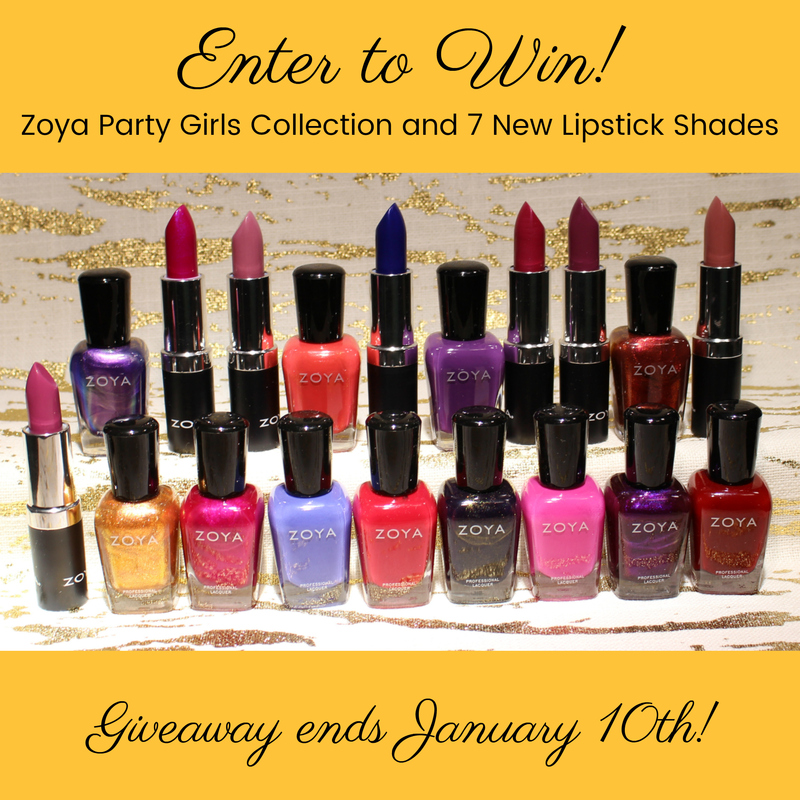 I wanted to kick off 2018 with a fun giveaway, and what could be more fun than partying with the Party Girls Collection from Zoya Nail Polish! In addition to the 12 new shades, I'm also giving away the seven latest lipstick shades released from the brand. Enter with the Rafflecopter widget below. Best of luck to you! To get my husband back to normal!! He was diagnosed with melanoma in May and has had 4 surgeries since then and we finally started treatment this past week and has to do a year of treatment so the only thing for my 2018 goals are to take care of him and get him back to normal!! Thank you so much for the amazing giveaway!! For 2018 I plan to get back to normal too. Normal good I'd say. It has been a long time, I need to catch up on taking care of myself, eating better, exercising, organizing my home office, catching up on doctor appointments. Thank you and Happy New Year! I will be graduating this year from college and am hoping for the best possible outcome for my future yet to come! Planning on settling into the new house with my husband after getting married this past October. What a wonderful giveaway. These Zoya polishes and lipsticks get so many raves. Someone is going to be thrilled! Resolution - spend more quality time with my husband! Get our garden going again. Declutter. What a giveaway! This is awesome! Thank you for the giveaway! These polishes are so gorgeous. :) I don't make resolutions. I learned a long time ago that it isn't constructive for me. Lovely giveaway! We're hoping to go to DC for vacation this year. I've never been, and I think I've gotten my anxiety enough under control to make the trip. My 2018 goals are to learn more crochet stitches, and keep improving so that maybe I can sell a few things! Thank you for an awesome giveaway! I've been wanting to try Zoya polish for a long time. My New Year's resolution is to exercise every day this year, or at least try really hard to. I'm not sure how well I'll do but I have to try to get healthy. YES PLEASE I WOULD LIKE! I've made a couple of resolutions, but they're secret, haha! I really enjoy their lipsticks! Such a great giveaway! For the new year my resolution is to treat myself better and move more; two simple goals I can meet. What an awesome giveaway! I'm hoping to see what I can bring to my blog, whether it's posting 5/7 days a week, or arting or... I dunno. All the things. Nothing special planned here, all energy is focused on healing and helping family. I wish you and everyone else - me included - a happy and exiting (GOOD exiting) new year! I don't really have any new year resolutions as such... I tend to never follow through, so I don't bother anymore. I have made a New Year's resolution to lose weight.My plans are to buy new home and finding new job.I would celebrate Valentine's Day in Italy.Happy New Year. I'm going to work to improve my diet, and make sure I exercise 5 days a week even when it's not convenient for me! I used to be great about both of those things, but I've slacked in the last year and it led to me gaining back all the weight that I had worked so hard to lose. As for trips this year, I hope to visit my friends in the DC area soon and also travel to Florida to meet my boyfriend's grandparents! This is the perfect prize for a nail junkie! Love Zoya lippies as well :) Whoever wins this is one lucky doll. This year I want to be a huge year of change. I would like to get completely different jobs for my husband and I and make a major move to Chicago to be near family. I tried not to make any resolutions, because I don't stick to them! My big resolution this year is to drop some of the 100+ pounds I need to shed. For 2018, I hope to become more involved in my community. Also, read more books and more date nights with my hubby! I want to sleep better. Sleep early and wake up early.